I enjoy teaching my children addition, subtraction, multiplication, division, and fractions. It is because arithmetic is predictable. Numbers are absolute. There is no hypocrisy in math. The answers are right or wrong. Math is truth in that way. Unfortunately, higher math is not at the top of my “Things I Love to Teach” list. 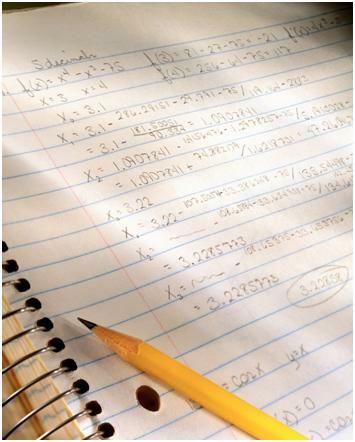 The thought of moving past basic math onto more intricate subjects like advanced algebra, geometry, calculus, trigonometry, and physics makes me rather nervous. But I realize that to understand mathematics is to understand a part of this world, therefore it must be pursued. Fortunately, there are wonderful teaching tools available for parents like me. 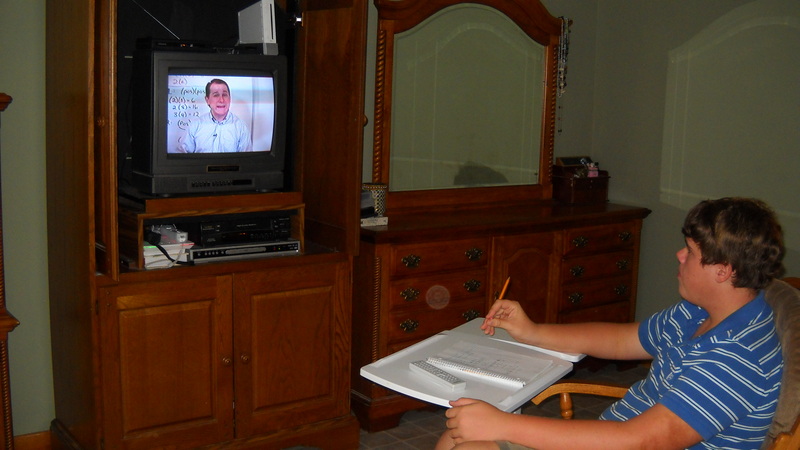 Recently I was given a Math Tutor DVD to review for The Old Schoolhouse. Since we are in the process of teaching Aaron algebra I was pleased. We also previewed the Texas Instruments T1-83 T1-84 Calculator Tutor. Since my children are not to the level of needing this instruction right now, this is definitely one that I will save and pull out again in the future. Each video is $26.99 with a full money back guarantee and offers in-depth, detailed courses. The website is full of information, including sample videos for all subjects taught. For those who prefer, you can join online for $19.95 a month and have access to all of the tutorials (over 170 hours). You can click here to see what others are saying about MathTutorDVD.com. Disclaimer: As a member of The Old Schoolhouse 2010-2011 Crew, I received these products free of charge in exchange for an honest product review. I do not receive any other form of compensation for the reviews posted on this blog. I enjoyed your review. It’s so neat to see all of the different opinions. 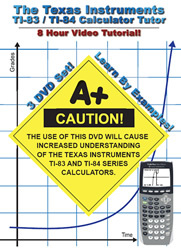 I loved the TI-83 dvd. I enjoyed reading your review. We reviewed these as well, and we really liked the calculator one.